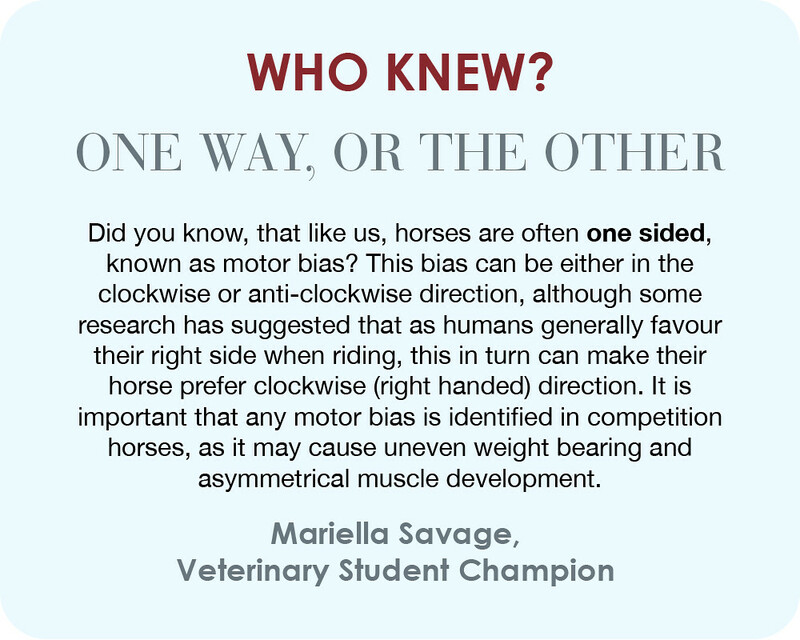 One of the great things about horses is that there is always something new to learn! 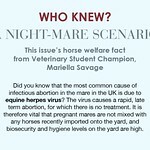 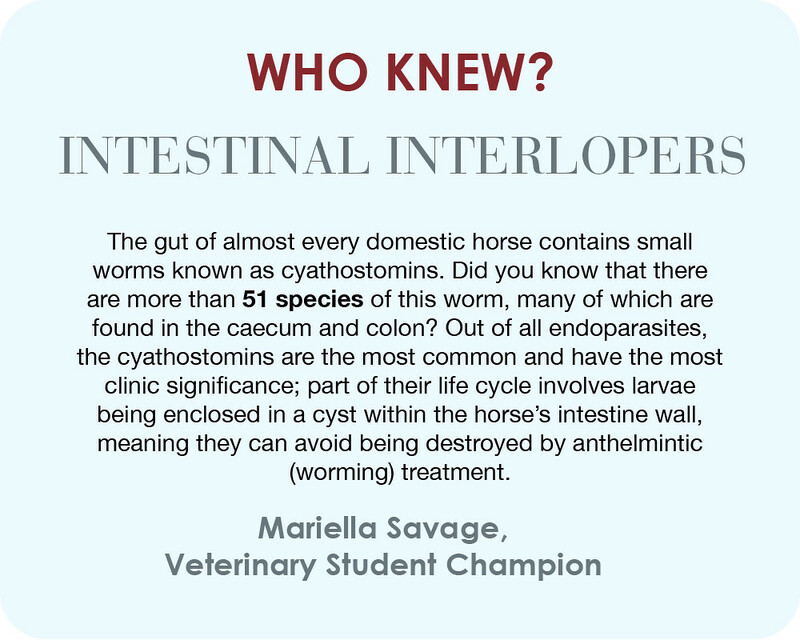 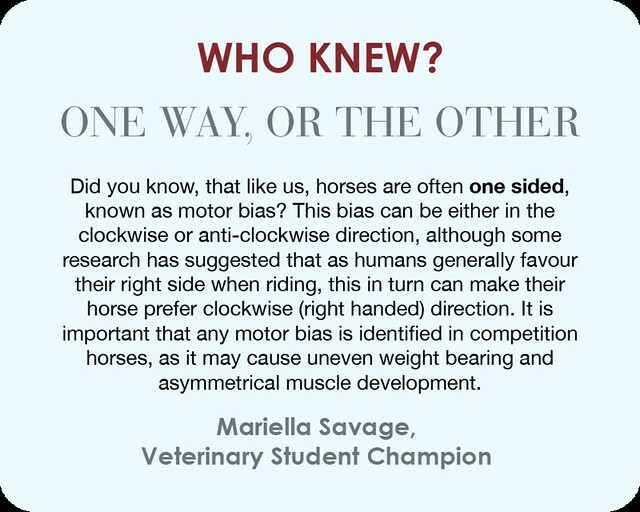 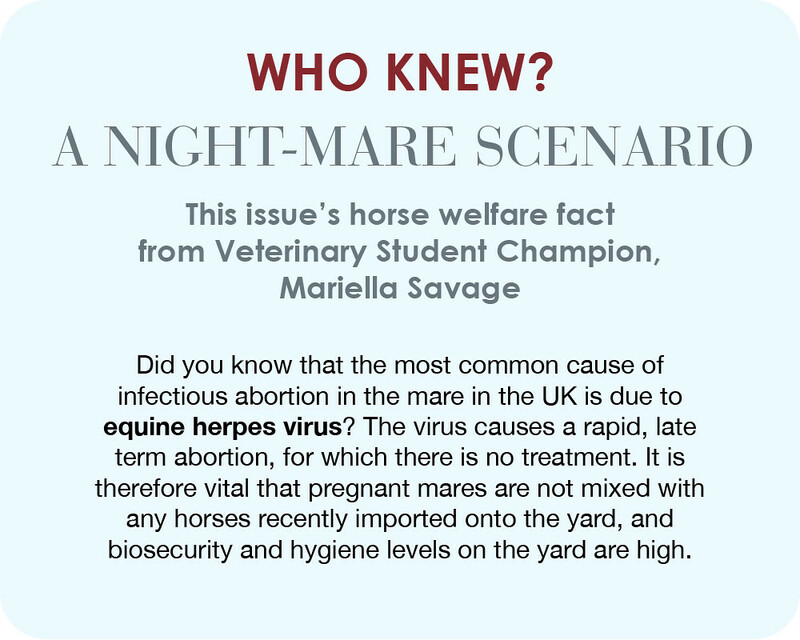 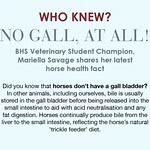 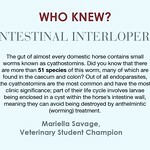 Our Veterinary Student Champion, Mariella Savage, has provided an array of interesting facts and figures on a wide range of subjects. 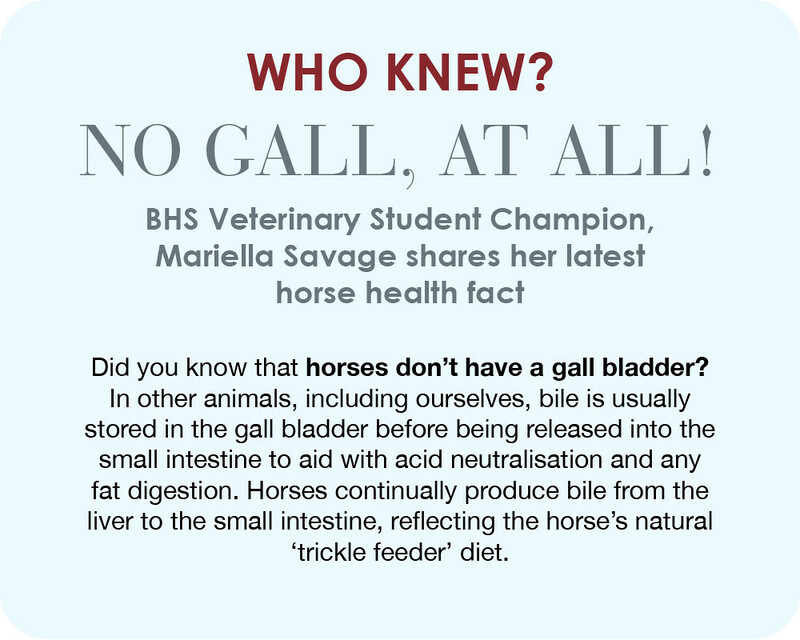 Below are some of those facts that are included in the British Horse magazine.